I recently went to Target and found an adorable laptop case from the Dabney Lee line! 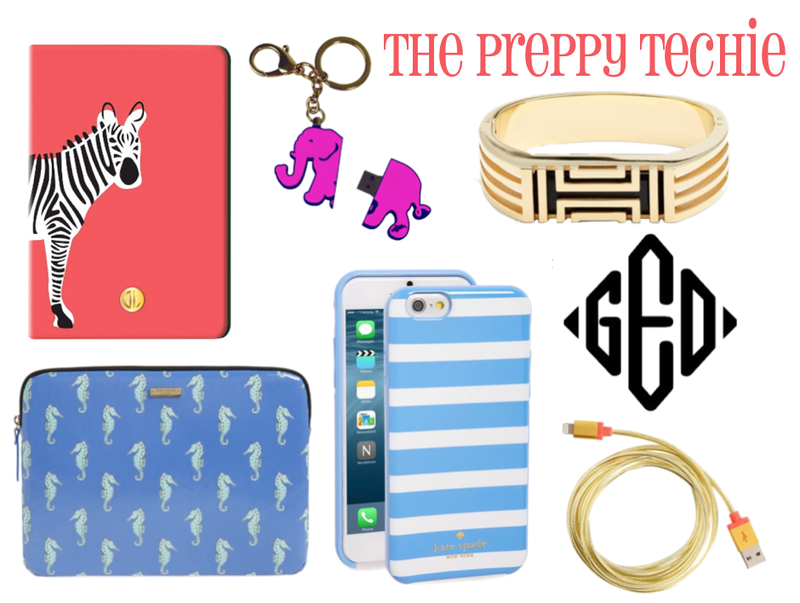 The line has the cutest preppy prints in laptop, iPad, and iPhone cases and I just knew I needed to share. Pink, green, and navy: how in the world can you go wrong! The majority of the line is only sold in stores so run to your nearest store and check it out. The adorable prints of the Target collection inspired me to search out some more to share with you all. I went to my go-to shop, Nordstrom, and found the cutest Kate Spade cases. I am loving the cornflower blue color, melon, and gold colors! Also while browsing Target, I couldn't help but notice the back to school section. With the growth of technology, it is becoming much more prevalent in the classroom. iPads and laptops are becoming pivotal in the learning process. 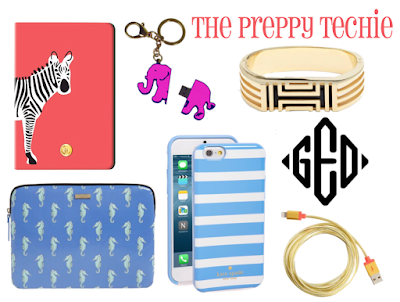 So many of you may be looking to add a little flair to your technology before heading back to school this fall! A cute case will help set your technology apart from the dozens of similar pieces of technology. And for all you rising seniors, buy an extra phone charger to keep in your backpack; you'll thank me later. I'm so excited for back to school time! I have lots of fun posts planned that I can not wait to share. 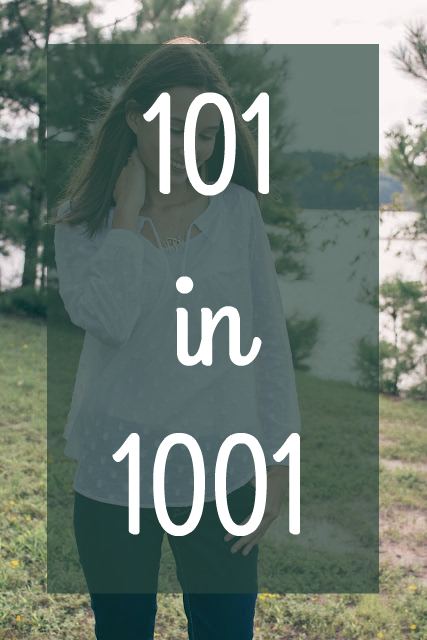 I hope this post inspired you in outfitting your iPhone, iPad, and laptop! Let me know which piece is your favorite. I've been looking for a new laptop case for ages and that sea horse one is adorable! I know right! So many cute tech things out right now. Thanks for reading! I LOVE that Kate Spade phone case! Isn't the color great! Thanks for commenting!